Here’s a picture of some of the work I did on Memorial Day on the Gunstock frame over at Sissy’s. It was a beautiful day and I enjoyed some hours working on the frame. 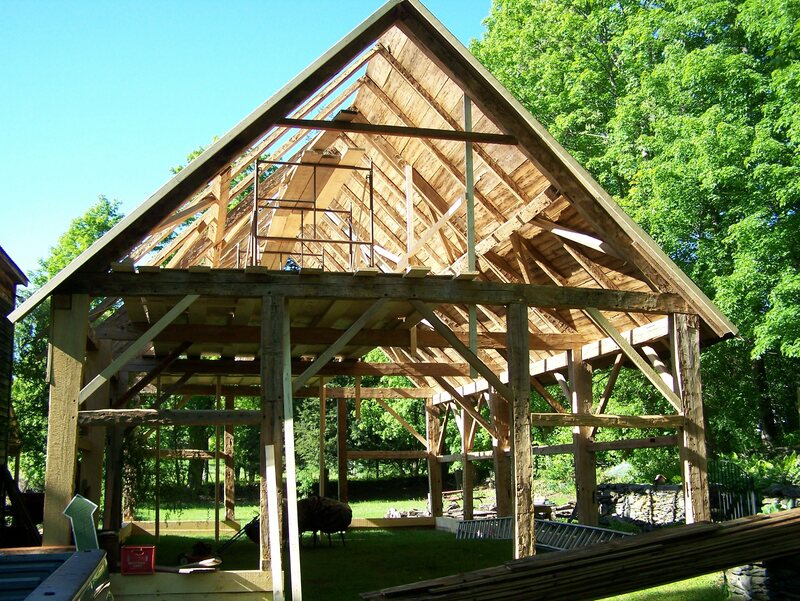 This entry was posted in Frames in stock, Green Mountain Timber Frames, Middletown Springs, Vermont and tagged available barn frames, barn for sale, Green Mountain Timber Frames, historic property, timber frame by Green Mountain Timber Frames. Bookmark the permalink.